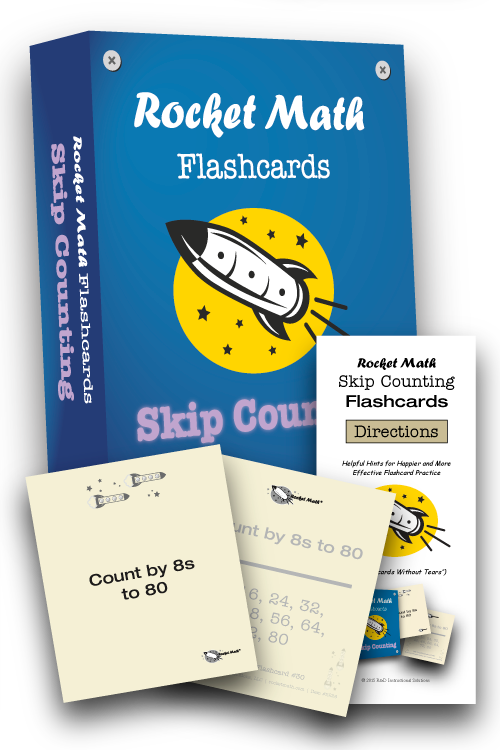 Students learn the skip counting (count-by) series, 2s, 3s, 4s, 5s, 6s, 7s, 8s, 9s, 10s, and 25s. 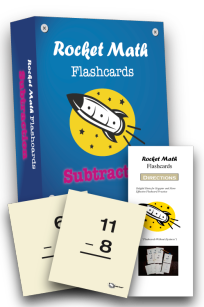 They learn these in smaller increments to maintain success. 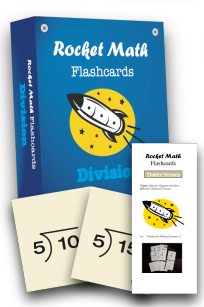 Individual set of Skip Counting flashcards. 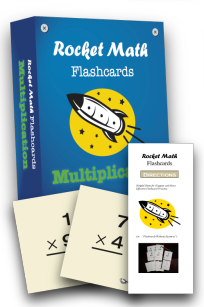 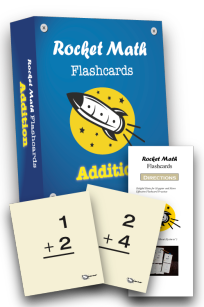 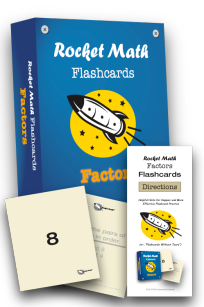 Printed on cardstock, put in an attractive box and shipped to you, ready-to-use, numbered in the Rocket Math sequence, with a copy of our uniquely helpful instructions.